Dimensions 1 by 7.50 by 10.25 in. Amazon.com description: Product Description: Uses an integrated approach to show the interrelationships between thermodynamics, heat transfer and fluid dynamics, stressing the physics of each. Mathematical description is included to allow the solution of simple problems in thermal sciences. New to this edition--SI and English units plus twice as many example problems which emphasize practical applications of the principles discussed. 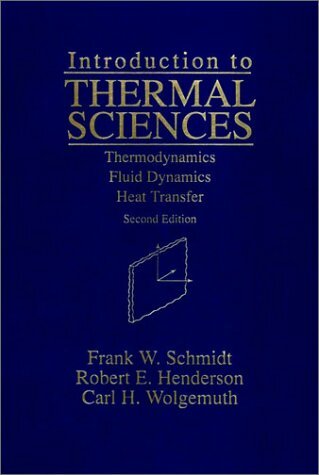 About: Uses an integrated approach to show the interrelationships between thermodynamics, heat transfer and fluid dynamics, stressing the physics of each.